IndiGo's new flights: Bookings for the flights are open via airline's official website, goindigo.in, with immediate effect, the airline said. IndiGo's new flights: IndiGo's announcementcomes amid rising competition among the airlines. IndiGo announced three new international and 20 domestic flight connections. 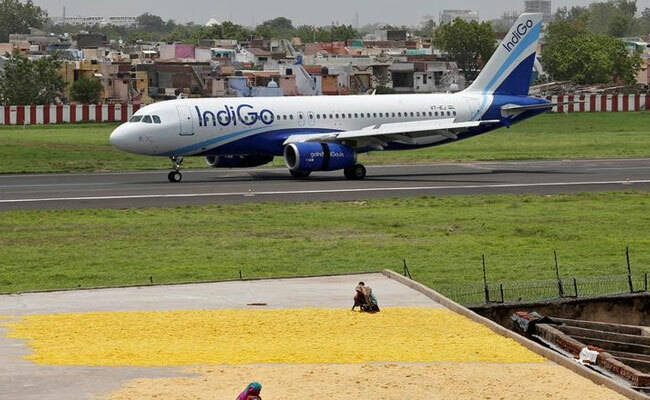 IndiGo will operate daily non-stop flights between Mumbai and Jeddah, and between Mumbai and Abu Dhabi with effect from June 5, 2019, the airline said in a press release. From July 5, 2019, it will operate daily non-stop flights between Mumbai and Dammam (Saudi Arabia). Jeddah and Dammam are the newly-introduced international destinations on IndiGo's network while Abu Dhabi is an existing destination, the statement noted. Additionally, IndiGo will operate 20 domestic flights from Mumbai connecting different cities across India, starting from April 15, 2019. According to the IndiGo statement, the new flights are designed to cater to business and leisure travellers who are constantly on the lookout for new and affordable flying options. Bookings for the flights are open via airline's official website, goindigo.in, with immediate effect, the airline added. IndiGo's announcement comes amid rising competition among the airlines operating in the country's civil aviation market. Meanwhile, aviation regulator DGCA or Directorate General of Civil Aviation has requested airlines to augment the number of flights, news agency Press Trust of India reported quoting officials. The airlines have been asked to bring an "immediate" and "medium-term" plan on the number of flights as airfares continue to rise.